Let’s Pray for Beirut the Same Way We’re Praying for Paris..
As a writer, my introductions are normally hard. I need a line that can introduce my body of words in a catchy, yet narrowed way. But for the first time ever, my introduction isn’t as arduous as I thought. Lebanon is that tiny country that stands between Syria and Israel. We’re only 10,452 kilometers square, hence, hard to spot on a map. To start off, we sincerely express our solidarity with Paris after yesterday’s terror attacks. Everybody knows what happened in Paris and the death toll from the series of orchestrated attacks. On the contrast, allow me to tell you what half of the world “doesn’t” know, or perhaps chooses to ignore. Two suicide bombings took place yesterday in Southern Beirut. Forty individuals were killed and 200 were injured. Shops were damaged, families were killed. We were left speechless. I watched the news of yesterday’s attacks in Beirut as if I was seeing a news program that keeps running on repeat. 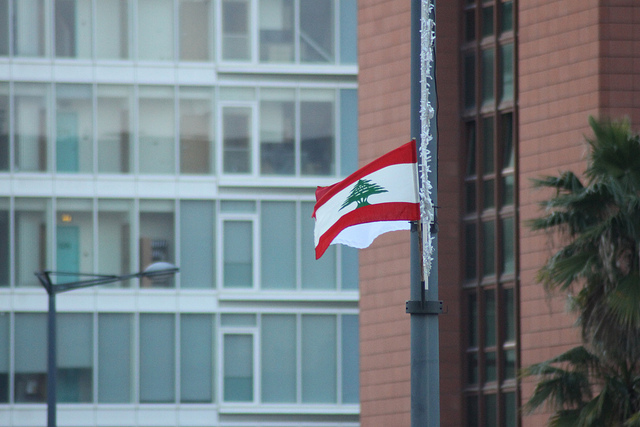 The insecurity we have constantly felt in Beirut has now returned stronger than ever. We thought that the series of bombings that were occurring in our country for the past six years finally came to an end. But they haven’t stopped. Putting Paris’ attack and Beirut’s together leaves me with one startling question: How is the world reacting to each? Opening Facebook shortly after yesterday’s events in Paris to see a safety check option for those residing in Paris left me tongue-tied. Facebook also gave me the option of supporting France by changing my profile picture to its flag. Presidents from countries around the world went insane with tweets and posts about the attack in France. But where do other nations that have been suffering for ages stand? Why are they forgotten? Why are people in the Middle East not having the chance to mark themselves safe when an attack or a bombing occurs? Why isn’t there an option of changing your profile picture to your country’s flag during an attack? The world might claim that we’re used to it. Others believe that the Middle East is where “terror” lives. But we still go to our jobs—most of which are in the heart of Beirut, Lebanon’s capital. We still party hard, go out for dinners and hit pubs in Beirut. Although we are living in the midst of what people call “terror,” we’re living it courageously and pretty well. Media coverage leads people to believe that the Middle East, especially Lebanon, is in a constant hazardous state. That’s why when an attack takes place, it’s “pretty normal.” The media describes the normal state of other countries as peaceful and violence free. I want to remind you that all countries in the world are facing daily attacks and unfair deaths but we just don’t always know it. We don’t know about them because they don’t show them to us. Thus, when a big attack takes place, it therefore leaves people in shock and leaves us asking: How come such a peaceful country face this tragedy? The truth is, there is peace in the Middle East as much as there is in Europe. But the media paints it differently. It is about time to stop this duality that the media has created. Mass media has shed the light on certain countries thoroughly demolishing others. It is not an attack against Paris. It is not an attack against Beirut. It is an attack against humanity. This is how we should see it. Everyday, somewhere on this vast earth, thousands are unfairly being killed. And still, we divide attacks as if peoples’ lives in Europe are more pronounced than peoples’ lives in the Middle East. World leaders should understand that the innocent people who lost their souls in Paris are the same ones who are losing their souls every single day in any another country facing terror and violence. But no one is mourning them. No one is supporting them. This one single night attack in Paris has been a constant norm in Lebanon for the past 30 years. Who supported us? No one. When will we understand that all lives on this earth count? Every country that faces a tragedy must have a “I am Safe” option on Facebook. Every soul that is being unfairly killed should earn a hashtag. People, politicians and especially the media shouldn’t be indifferent to any unfair death. We should mourn every human dying in an attack, no exception, no excuses. Let’s pray for Beirut as much as we’re praying for Paris. Let’s pray for the whole wide world, in fact. Let’s see each each other as equal human beings; not as different countries. Let’s stop dualities. Let’s be one in our view on death.